"Normally when you change your hairstyle, only people within your immediate circle comment on it. However I’m a black woman. Our choices cannot be pried apart from politics, scrutiny, and a bizarre level of intrigue." We couldn't help but be stopped in our tracks by this beautiful young woman, and her thoughtful and poignant essay on the politics surrounding her hair-care choices. 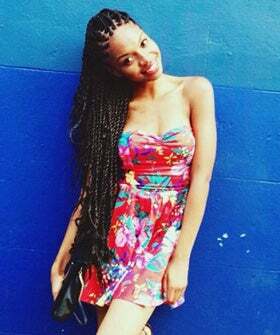 After deciding that paying for a weave was out of her budget, writer Christiana Mbakwe chose to have her hair braided. Logical, right? But simple? Not so much, as the writer soon learned. In her article, Mbakwe laments the fact that many people assume that black women's hair reflects their personality, politics, and/or life choices. "What I do with my hair shouldn’t affect how I’m treated or perceived, but unfortunately it does," writes Mbakwe. While acquaintances were surprised by Mbakwe's intellect when she wore long weaves, she is now baffled by being called "my sister" and being told that her choice of hairstyle is a "statement." Why, wonders the writer, can't people "grasp that what’s in a woman’s head matters far more than what is on it"? Indeed.